Nashville, TN – The Tennessee Department of Transportation (TDOT) reports that in Montgomery County on SR 374 (Warfield Boulevard) there will be widening work from South of Dunbar Cave Road to West of Stokes Road from 9:00am until 3:30pm, on Tuesday, October 23rd. Nashville, TN – The Tennessee Department of Transportation (TDOT) reports that in Montgomery County on SR 374 (Warfield Boulevard) there will be widening work from South of Dunbar Cave Road to West of Stokes Road from 9:00am until 3:30pm, Tuesday, October 9th and Thursday, October 11th. Nashville, TN – The Tennessee Department of Transportation (TDOT) reports that in Montgomery County on SR 149 and SR 13 there will be Grading, Drainage, and Construction of Bridge work, as well as Retaining Wall work and Paving from River Road to Zinc Plant Road daily, from 9:00am-3:00pm. Nashville, TN – The Tennessee Department of Transportation (TDOT) reports that in Montgomery County on SR 374 (Warfield Boulevard) there will be widening work from South of Dunbar Cave Road to West of Stokes Road from 9:00am until 3:30pm, Thursday, September 20th and Tuesday, September 25th. 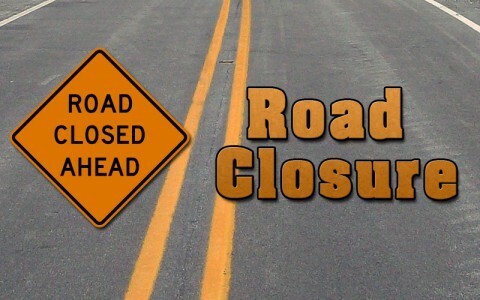 Nashville, TN – The Tennessee Department of Transportation (TDOT) reports that in Montgomery County there will be a road widening of SR374, Road Closure for Blasting, through July 2018, from 9:00am-3:30pm. There will be intermittent road closures on SR 374 between LM 2-3 for pre-split blasting. All traffic will be halted during the blasting process until all debris is removed from roadway.